In January of 1936, American nightmare and serial killer Albert Fish was executed in Sing Sing Prison in New York. Do you ever catch yourself thinking, “What’s this world coming to?”Maybe you’re watching some Fox New coverage of their Missing White Woman of the Week and harkening back to a simpler time… you know, before bath-salts and immigrants were staining the streets with the blood of their victims… Albert Fish was from way back when America was “great”. I won’t detail here what he did but his Wikipedia page (do not click on this link) is the most disgusting thing I’ve ever read (seriously don’t read it). I’d like to tell you about all the great serial killer films that were inspired by Fish but the vast majority of fictional cinematic serial killers give credit to Ed Gein and Ted Bundy, among others. There have been a few films based on Fish’s true story. I haven’t seen them and they don’t seem to be very well received. I’m not really sure if Hollywood would actually finance an accurate retelling of his story (you’ve been warned) it’s just too gross. “People whose antecedents came from the jungle were primitive; their physiques were stronger than those of civilized whites and hence should be excluded from future games." The footage from these games would eventually be used by Nazi propagandist filmmaker, Leni Riefenstahl in her 2-part documentary, OLYMPIA. This would prove to be a groundbreaking cinematic effort. 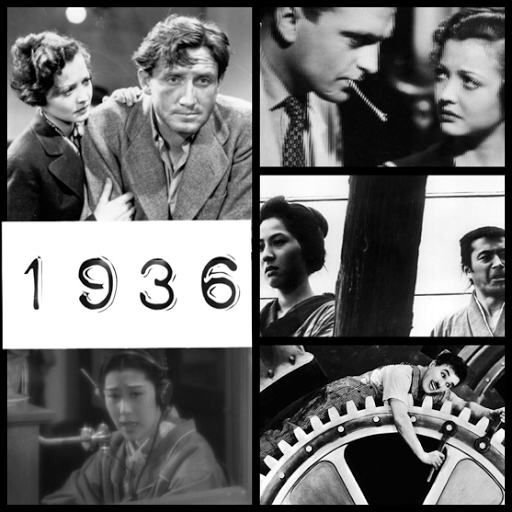 The film would be finalized and released 2 years later and it featured some of the groundbreaking and unprecedented cinematography and editing techniques that would later become a staple of modern filmmaking. I think it’s important for us to acknowledge the fact that artistic, technological and even cultural advancements can sometimes be born of the most nefarious of intentions. 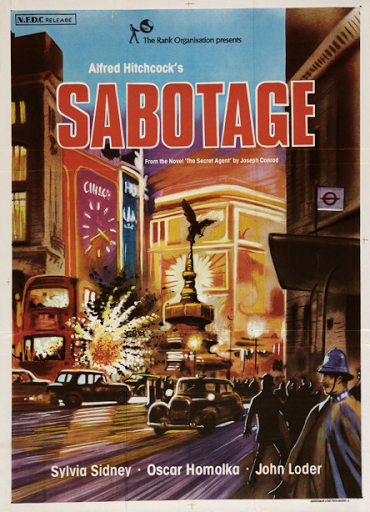 I think this is one of Hitchcock’s most underrated films, especially among his earlier British work. There’s no reason that this shouldn’t be talked about in the same breath as THE 39 STEPS or THE MAN WHO KNEW TOO MUCH. It runs in the same paranoid vein. This film is a great example of Hitchcock’s “bomb theory” in which he illustrates the difference between horror and suspense. We see the absolute most literal example of it here. 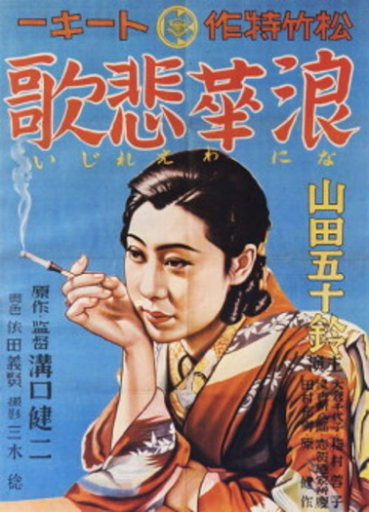 This gives us a glimpse of some of the cinematic greatness to come later from one of Japan’s most prolific filmmakers.Though not nearly as substantial as some of his later work like UGETSU, THE LIFE OF OHARU or SANSHO THE BALIFF, this film works on a much softer, Ozu-esque level of melodrama. We are also treated to the beginning of actress, Isuzu Yamada’s 3 decade long career as Ayako, a woman who becomes her boss’ mistress in order to keep her embezzling father from prison. She is rewarded for her sacrificial act with the disdain of her family and the man she loves. 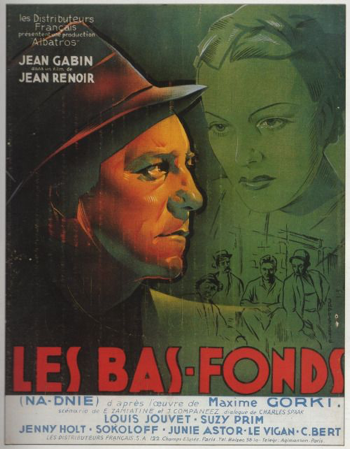 This is my favorite Renoir film… of 1936 (I had 3 to choose from), and probably my 3rd or 4th favorite of his entire filmography. What I’m trying to say is: I’m a big fan of his, especially his films from the 30’s. Based on the Gorky play of the same name, this was one of Renoir’s first jabs at the bourgeoisie. It beautifully illustrates the widening chasm between the haves and the have-nots and it does so with the sense of humor a Renoir screenplay would come to be known for. If you are unfamiliar with his work, I would actually suggest starting here. It’s not quite as poignant as some of his other work but it may prove to be more accessible and relatable. 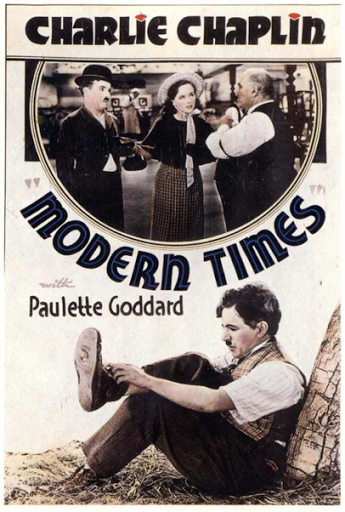 I think you could watch this film as a metaphor for how Chaplin himself felt in the brand new world of “talkies”. It’s probably the only film in which he actually turns into The Tramp as the story unfolds. This happens because of advancements in modern technology that his skill set just can’t seem to keep up with. But fear not, complex follies give way to triumphs of simplicity as the film rolls on. We are finally rewarded with the solace that, although he may have to get by with less, The Tramp will be alright. I bet you thought I was done talking about Hitler…. 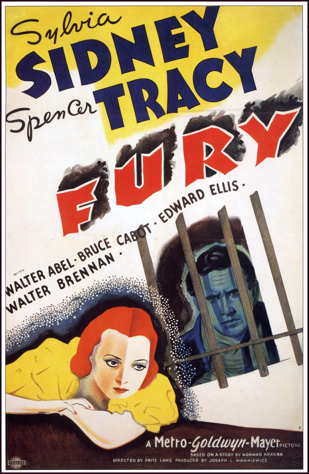 Sorry, I can’t talk about Fritz Lang’s first American film without mentioning how it was obviously inspired by the Nazi party that he had fled from three years prior. Lang was offered a position as the head of German Film Studios by the Minister of Propaganda, Joseph Goebbels. He replied by fleeing Germany to Paris and eventually making his way to Hollywood. This film works amazingly as an indictment of the fragility of man’s conviction that give way to the mob mentality that makes fascism possible. Misinformation mixes with communal insecurities to create a toxic blend of fervor and zeal. All it needs is a place to direct its energy and foreigners traditionally make the best scapegoats. So yeah, I find the conflict of this film to be relevant today. But I also find its resolution to be just as relevant. I won’t give it away but to say that the truth in 1936 was far more elusive than it is in 2017… and we should be thankful for that.